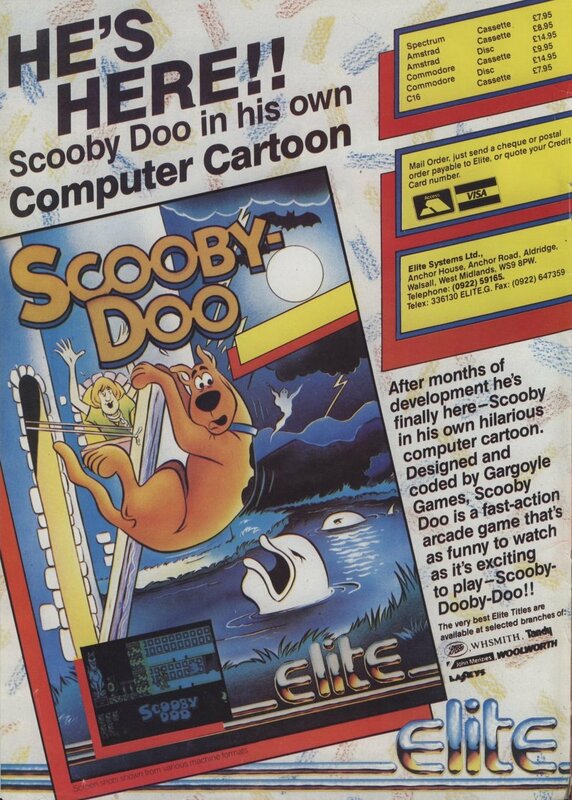 Remarks A much-hyped game, Elite first started advertising this from around Autumn 1985. 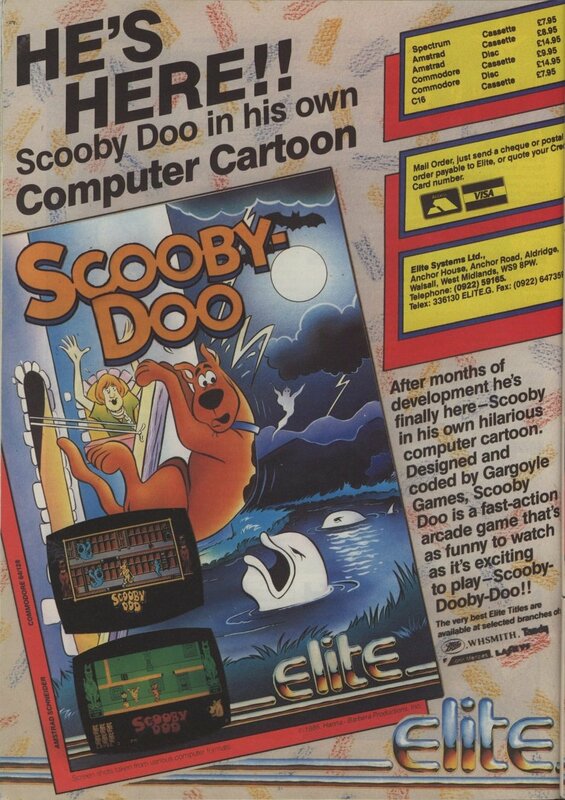 The advert billed the game as "the first ever computer cartoon" and featured some mouth watering screenshots. 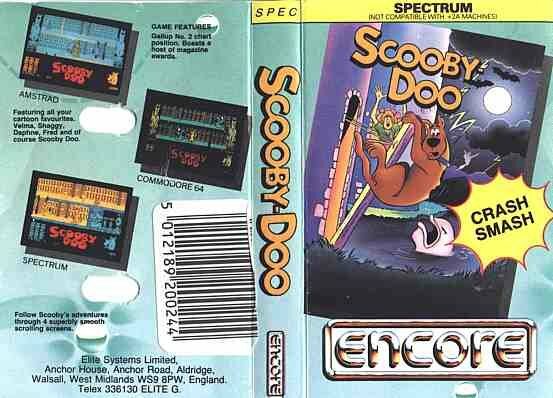 The game was to be similar to the laser disc arcade games such as Dragon's Lair. Issue 21 of Crash carried a full preview of the game. 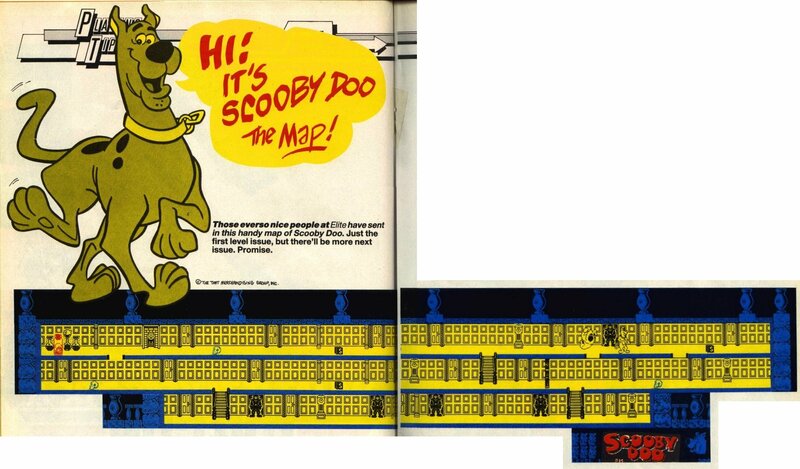 The game was to feature all the characters from the cartoon and was set in a Scottish castle owned by Shaggy's auntie. 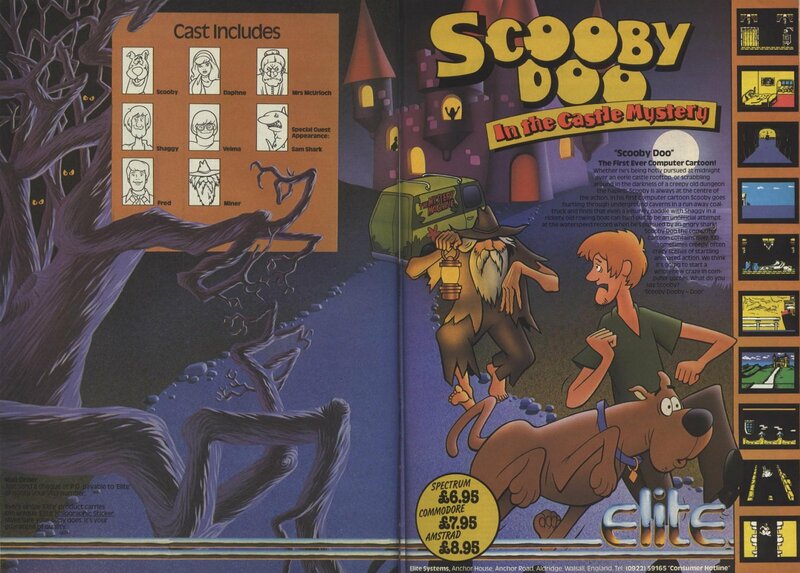 The castle is haunted and Scooby and the gang have 48 hours to solve the mystery. 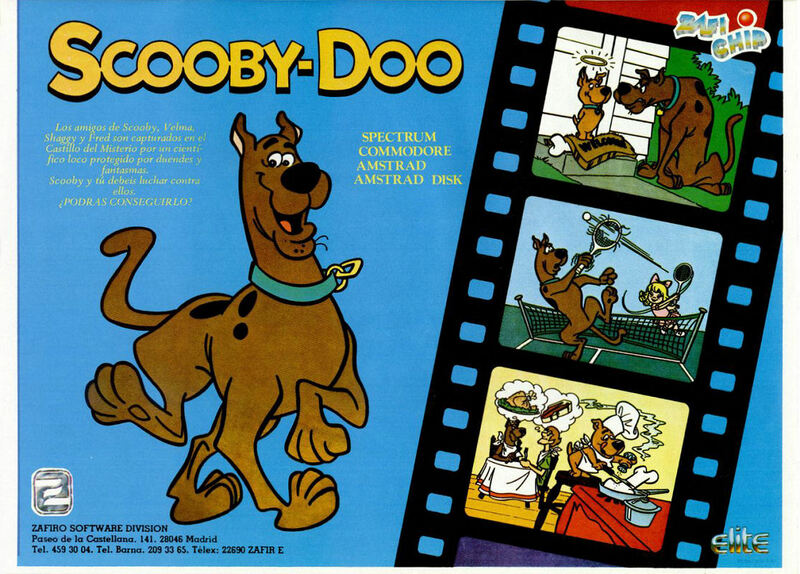 The game is said to "feature seven or eight action sequences which are separated by descriptive scenes in which characters in the game interact by meeting together and having a chat..."
"In the action sequences you will follow Scooby and Shaggy as they search the castle and need to help them solve (or avoid) problems as they arise and generally guide them on their way. You drive the action in the game, acting rather like a film director, taking decisions which affect the outcome of events. After each action sequence has been played through, the scene will fade to a descriptive section where you eavesdrop on conversations and can pick up clues, tips and hints which will help you solve the mystery." 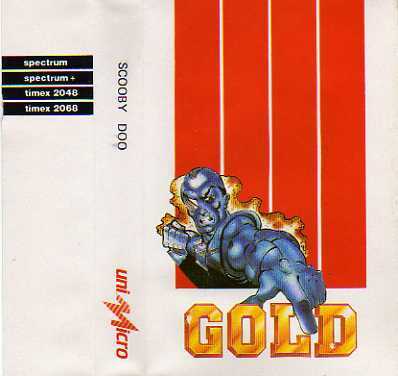 The game was scrapped as the Spectrum was not capable of handling such an ambitious project. Issue 47 of Sinclair User reported: "while the graphics in the game ... are supposedly unbelievable the game is a shambles. Lack of memory has been blamed for the failure to release the game". 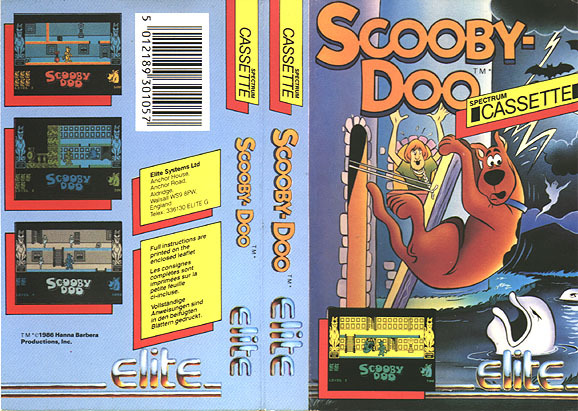 Elite were, however, supposedly considering releasing the game for the 128K Spectrum. Faster Than Light then developed the game for Elite, a much more conventional platform and ladders game, which was released towards the end of 1986. 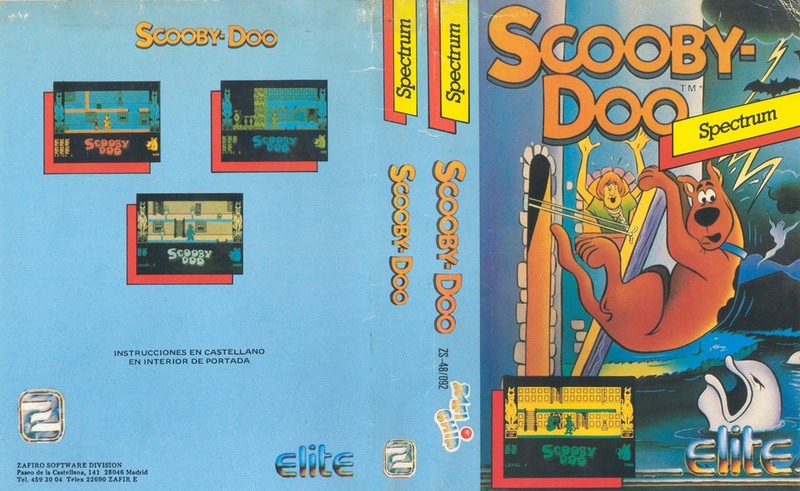 The game did spawn the Scooby Award in the Gremlin column of Sinclair User which was given to much-delayed games!